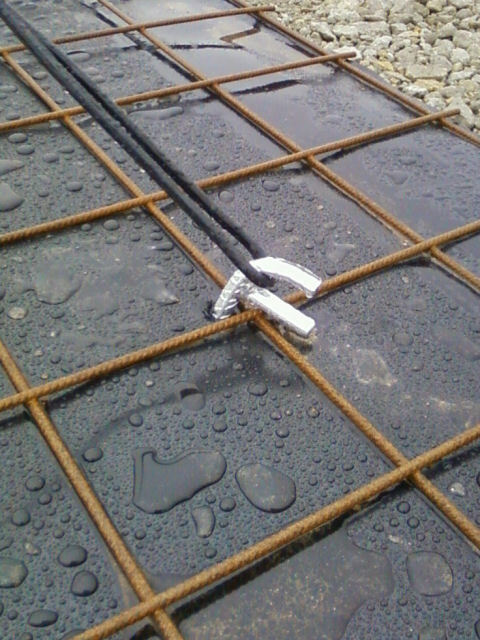 Each LOFAR LBA aerial is secured to the ground using four anchor pegs. These hold down the ground plane and provide a place to which the guy/antenna wires can be connected. Because of the differing geology from one LOFAR site to the next, the pegs tend to be different in each location according to local conditions. 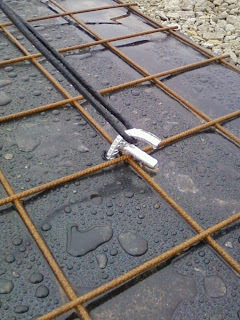 For example, at Exloo (Netherlands) they use a piece of pressed aluminium, as there is only soft peat beneath their array. At Chilbolton, the soil varies between a chalk-clay mix and solid chalk. 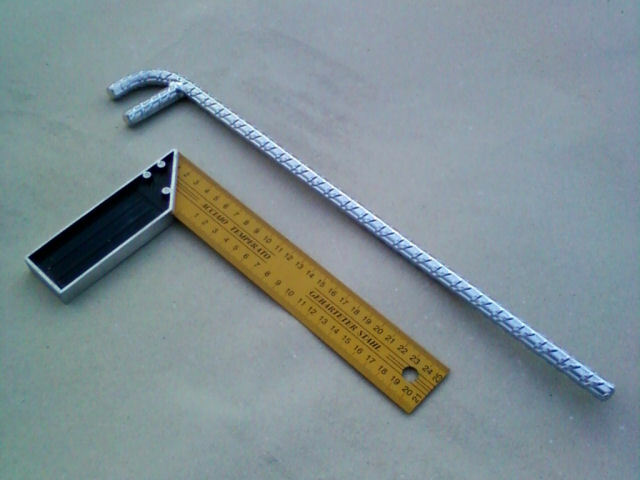 Thus, our pegs are coated reinforcing steel with a spur to hold the ground plane and a safe surface hook for the guy lines. A "Chilbolton Peg" - coated steel, with hook and spur... 400mm long. The peg in action on LBA aerial #78.